I’m working through a series on depression, and it’s my hope that you’ll be encouraged by what I have gone through, although I know it pales in comparison to some of your stories. You may find it helpful to read about the events that triggered it, when my newborn was diagnosed with a rare lung defect and then flown to Dallas, TX for an emergency lobectomy, where half of one lung was removed. God brought me through a very dark and difficult time and as a result, I am closer to Him now than before, and I’m better equipped to fight the battles that may come in the future. 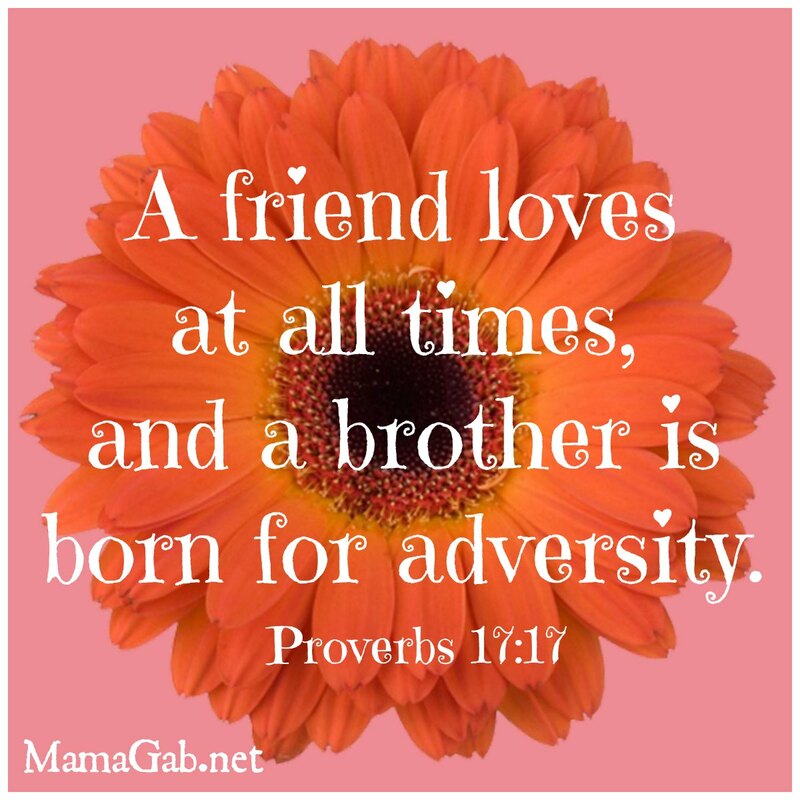 I’ve always seen the benefit of having a handful of close friends, but it wasn’t until I experienced real and scary depression that I realized just why God gave me these friends. 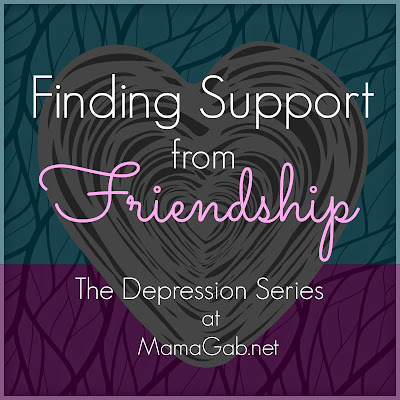 He provided a support network for me long before I ever experienced a dark and ugly thought. I needed a small handful of people to really know what was going on. I needed them to know the yucky stuff and the difficult emotions. I needed to be prayed for, and I also needed someone to talk to when things got really bad or when my thoughts were not good. I chose my husband, my mom, and my sisters to be that support network. When I had terrible thoughts or I felt myself drowning in fear, I could call any of these people. Because they knew where I was emotionally, they would often drop what they were doing to answer my phone call and speak truth to me, in love. Sometimes I would even get a text message from my mom with scripture that was exactly what I needed to hear that day. I also remember getting a sweet card in the mail from my sister that brightened my day. And knowing that my husband was aware of what I was dealing with left me feeling far less alone in our marriage. In the hospital, when our newborn was diagnosed with his lung defect, when we were flown to a children’s hospital for surgery, and as our baby recovered from having half of one lung removed, it was my husband who completely broke down at times. Now it was my turn to fall apart. And he carried me during this difficult season. He had never had a wife who was a basket case before, so I’m sure this was hard on him too, but he bore it like a champ. Sunday mornings at church, in particular, were a often a challenge for me. I wanted to be real and honest, but I didn’t want to dump on anyone either. So I created a personal policy for myself: If someone asked how I was doing, I didn’t vomit my emotions onto them, if I could help it. Instead, I gave a tentative “OK” or a more honest answer, something like “well, things have been tough, but we’re hanging in there.” In response, some people would give a quick response and move on. And that’s OK, because you know what? It’s not everyone’s job to carry my burdens. Some people within the body of Christ can help carry this particular burden, but it’s not everyone’s job to carry everyone else’s burden all the time. Now if someone went beyond the initial how are you doing kind of question and asked just one more probing question about how I was doing emotionally, then I would tell them the truth, that I was struggling emotionally. Sometimes I even used the dreaded D word to let them know what things were really like. and women who would pray for me. I knew these women wouldn’t be gossiping. And I knew that while it’s not socially acceptable to always admit that you’re dealing with a struggle like this, I would need a good support system. I would need their prayer. I would need to not feel like I was being a fake. I don’t do fake well. Talking about it also enabled me to share with a friend who is a doctor and one or two who were nurses. More than anything, it was reassuring to know that they felt it was completely normal to deal with some combination of depression or post traumatic stress disorder after all we’d gone through. Neither my doctor friend or nurse friend were at all surprised to hear I’d been struggling. Our little family has always been fairly social here in our small town, and it’s a big part of why we’re so well connected in a place where we have no family. I continued to follow through with my commitments and social engagements, knowing that all of these things would be good for me and good for the kids. It’s good to get out of the house. Normal is good. Routine is good. During the summers, one friend of mine always schedules fun play dates once a week. During the summer that I struggled with depression, I never missed a single play date, if I could help it. 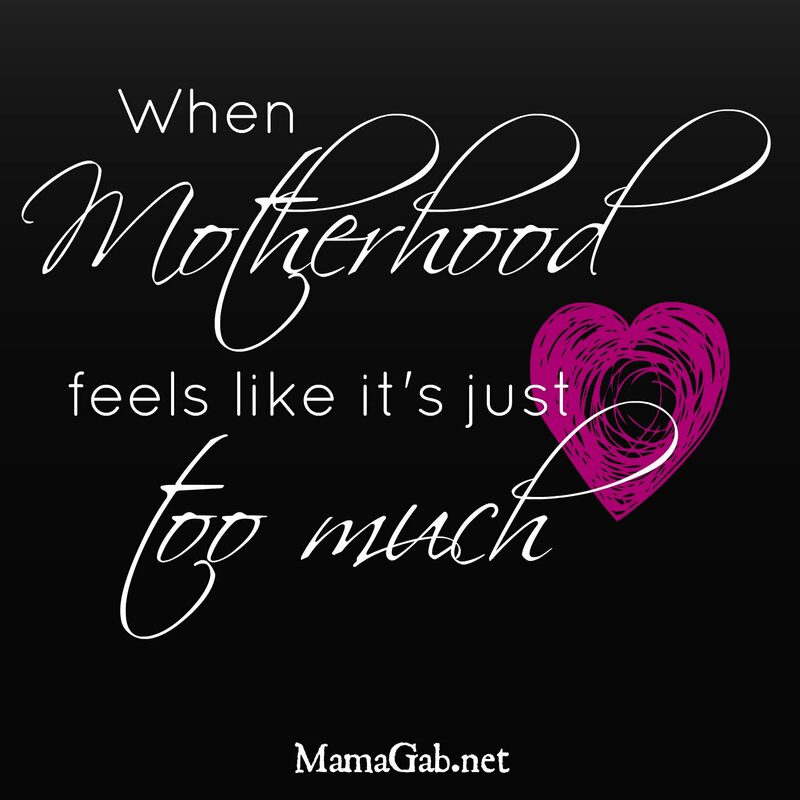 It felt good to feel normal, to chase kids at Chuck E. Cheese or run around at the park, making small talk with other moms. I usually didn’t tell them what was going on, but that was fine. It just felt good to be me, to be a mommy with other mommy friends. And I was also around people who understood what we had been through as a family, and just knowing that they understood what we’d been through was so comforting. Even though I really didn’t share a ton about depression while I was going through it, the little bit that I did share relieved a heavy load from my shoulders. 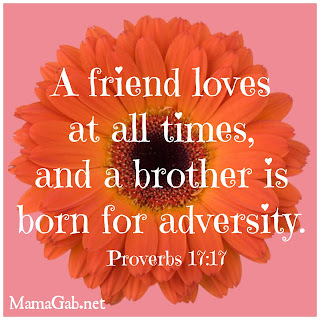 Friendship was just one tool in my arsenal to fight this battle, but God had given me others too. I’ll share more about those next week. If you’ve dealt with depression, did you tell anyone about your struggle? How did they respond? Thanks so much for the encouragement, Dom! Me too–It’s so nice to hear that others have experienced similar things. I know this is one of many reasons why God designed us for community. I love your attitude toward this struggle! 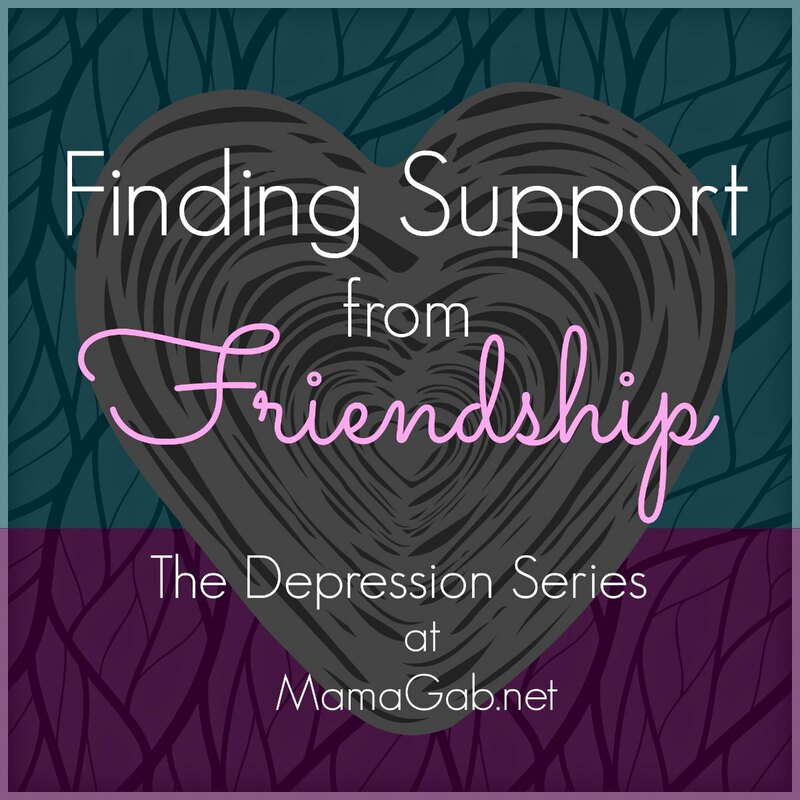 I’m so glad to hear that you have such a supportive network of people around to help you through some of the darker periods in life. It sounds as though you’ve been through quite a lot, but it helps to be able to talk it out with people–regardless of whether or not they understand intimately, there are times we just need to let these thoughts out. You have been through a LOT and I will pray for you tonight. I am next to you over at Titus 2 Tues. and holding a wiggly baby that won’t sleep, so suffice it to say that I know exactly what you are saying 🙂 and I think you have such a balanced approach. Thank you! God has been good…always.